The end of the world as we know it, or TEOTWAWKI, is coming, or at least we think it is. 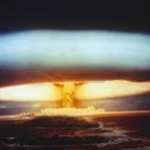 Preppers from around the world all agree that doomsday is rapidly approaching. Where the disagreement lies is on exactly how the world will end. Every prepper has started preparing for whichever end of the world scenario that they feel is most likely to involve them and their geographical location. 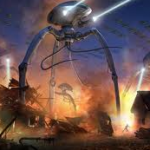 From nuclear attacks and fallout to alien encounters and colliding planets, we’ll lay out the top 5 theories circulating the prepper circles today. The important thing to remember is that whichever and whenever this happens, it will most likely be quick and come without warning like a thief in the night. By starting to prepare today, your family will be way better off when these scenarios take place tomorrow! 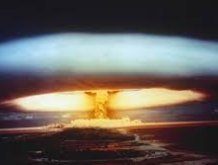 Preppers worldwide know how devastating a nuclear attack would be on the planet. The thought that this sort of attack would only be a one way affair is naive to say the least. It seems that after the first launch is detected, all those countries with the same capability might take action as well. It’s not only the people living in or around the initial impact zone that have to be worried, because the fallout and radiation from the detonation will destroy everything in its path for hundreds of miles or more in seconds. Preppers who base their prepping on this scenario tend to have underground bunkers and shelters to hide and live in for a long period of time after it happens. Remember that the radiation can linger in the air outside for several years in some cases. Having an ample emergency food and water supply is of the utmost importance when there’s not any convenient stores left standing to buy from. 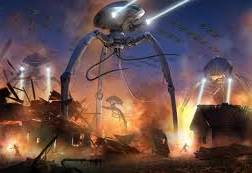 There’s numerous movies and books out there that depict the end of the world by Alien attack, so it could definitely be true! Ever since WWII and the Roswell incident, people have been fascinated by the belief that we on earth coexist with alien life forms. Preppers, scientists, and UFO enthusiasts around the world constantly have one eye on the skies at all times. The hope is that these aliens will come in peace. If an earthly takeover is their goal, then that won’t be so pretty. Preppers believing in this end of the world scenario will likely have the standard emergency supplies in addition to multiple hideout locations, and a vast supply of self defense weapons. 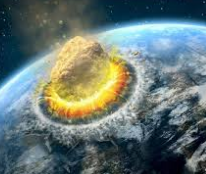 Another end of the world scenario that’s on the prepper radar is the asteroid impact. This is a very real possibility! Scientists, scholars, and theorists have been studying this nightmare for centuries. With all the space debris, exploding planets and stars, comets and asteroids in our solar system, there’s a lot of junk for earth to continue to dodge through. Even though our planet gets bombarded every day with space debris, it’s usually so small that the effect isn’t even noticeable. 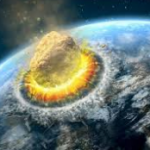 If a larger chunk of junk decided to fly into the earth, it could cause total devastation. Depending on its size, it could wipe a small town or an entire country right off the map. 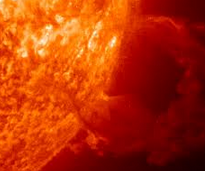 A solar flare is when the sun suddenly releases a large burst of energy. A solar flare is typically not visible to the naked eye, but effects all layers of the atmosphere, and if large enough, can be felt on earth. 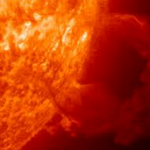 With each burst, all sorts of radiation, gamma and radio waves are sent speeding from the sun. If one of these flares was big enough, it would interrupt and wipe out our electrical and communications grid. This means that there wouldn’t be any electricity available to whoever was in the affected zone. If your power grid goes down, you won’t have access to anything that is connected to the internet like banking, television, or gasoline from gas stations. Pretty much everything that takes electricity to run will not work. Preppers who believe in this scenario will definitely have a method for providing emergency power, such as a portable generator. 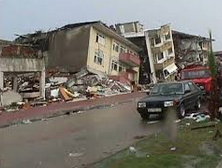 A massive earthquake is another one of the end of the world scenarios that makes the list. What makes this scenario so popular is that there’s numerous catalysts as well as side effects that comes with earthquakes. If the shaking of the earth doesn’t destroy you, the tidal wave that it creates just might. Not only will you have to deal with collapsing structures and potential flooding, you’ll be exposed to all sorts of bacteria and disease that was unleashed into the air and water from all the underground piping systems that burst. 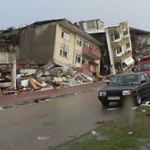 With ” global warming ” adding to the water supply on earth, a massive earthquake could potentially drown entire cities, nations, and countries. Once again the preppers following this scenario are building solid places of refuge from collapse and flooding in addition to all the other obvious preps like food, water, medicine, protection, and supplies. There’s lots of ways the world can end, and there’s no way we can prepare for all of them. The best principle to adopt is to prepare for what you can. Make sure that you try to stock up on emergency food and water first. If you have a hectic and demanding lifestyle, and you have access to a computer, you can easily and cheaply start building up your preps online.